Balch Law is committed to providing you with the highest quality legal services. Jacintha has over thirty years experience working in estate planning, probate and trust. As part of that estate planning, Jacintha has helped many small business owners with emerging businesses. She also has had personal experience in creating and running a small business, her own law firm for over 25 years. 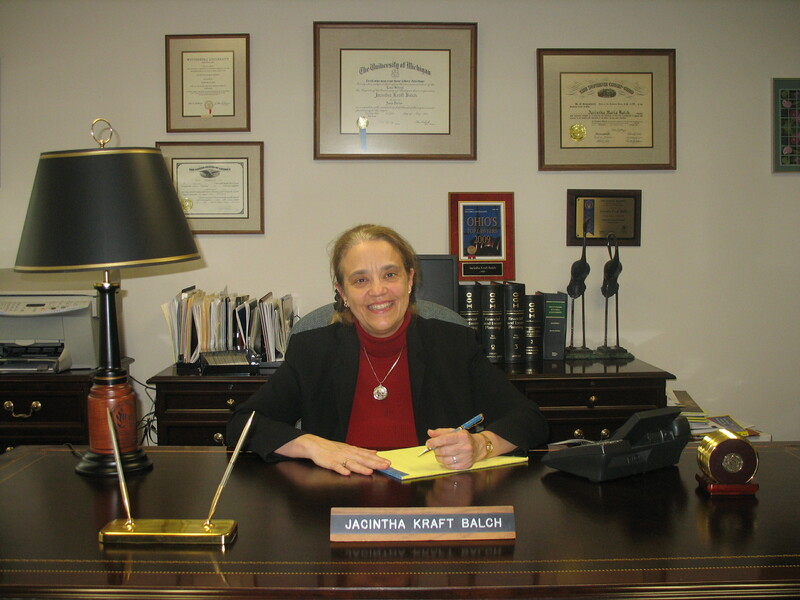 Born in Findlay, Ohio, Jacintha graduated from Wittenberg University and from the University of Michigan Law School. She started her career at the law firm of Vorys, Sater, Seymour and Pease, working in the areas of estate planning, probate and health care law. She served as head of Huntington National Bank's trust estate-planning department for six years, before forming her own law firm, Balch Law, in 1991. Jacintha assists her clients in developing a practical estate planning strategy. She is a member of The Columbus Foundation's Professional Council, serving as Co-Chair of its Professional Advisors Council from 2012 through 2017 which is dedicated to providing cutting edge educational presentations on estate planning to professional advisors, currently serves on the Board of Trustees of the Franklin Park Conservatory, and previously served two terms as a Board Member of Lutheran Social Services of Central Ohio. She is an active member of the Columbus Bar Association and Ohio State Bar Association. 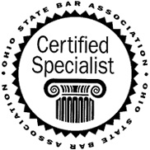 She holds the Ohio State Bar Association Certificate as a specialist in estate planning, probate, and trust. She is a frequent speaker at continuing legal education events and for community groups. 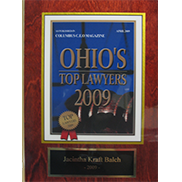 C.E.O Magazine named her as one of Central Ohio's Top Lawyers. Disclaimer: Balch Law provides this website for informational purposes only. 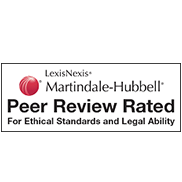 The contents of this website are not intended to be and should not be considered legal advice or a legal opinion on any matter and no action with regard to any particular legal situation should be taken based on information contained herein. The use of this website does not create and is not intended to create an attorney client relationship between you and Balch Law. In the absence of a formal attorney-client relationship with you, any unsolicited email or other information that is sent to us will not be considered as confidential or privileged. Please do not send us confidential information until you are directed to do so by Balch Law. Content Copyright to Balch Law 2018. All Rights Reserved.